Dr. Abdella has been a leading provider of optometry services and vision care in Flint since 1974. Our Flint Eye Doctor Welcomes You! Your vision is our focus. We value and respect every patient who visits our Flint optometry clinic. Dr. John Abdella will greet you warmly and, listen to your visual needs. 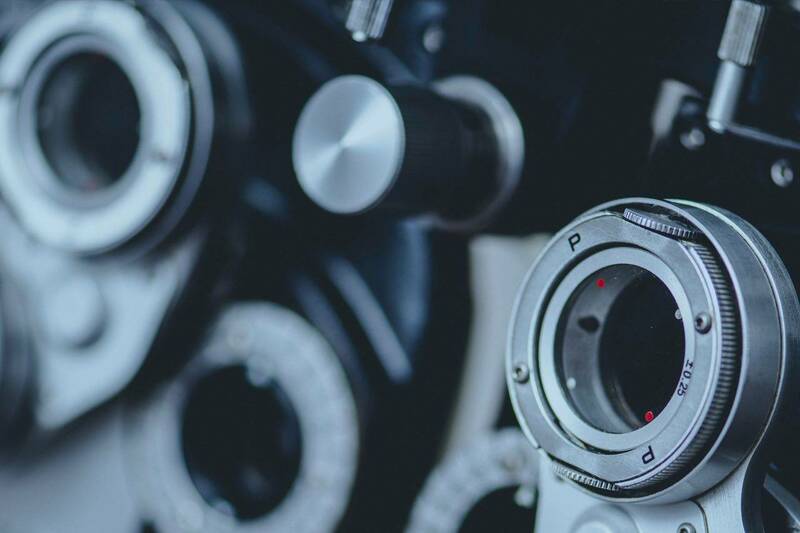 With personalized attention, state-of-the-art technology, thorough eye exams for adults and children, and expert treatments, we provide a full range of eye care services in Flint Township, MI. Do you have questions about your eyesight? We believe that the best vision care is based on an open partnership between patient and eye doctor. Dr. Abdella will take the time to address your concerns – with patience and a smile. From simple vision correction with eyeglasses to complex medical treatment for eye disease, such as macular degeneration, glaucoma, and cataracts, we will satisfy your eye care needs. Dr. Abdella is dedicated to providing you with strong and lasting vision. Contact us today for an appointment in our Flint office. Our eye doctor will perform detailed vision tests and contact lens eye exams to ensure that your vision prescription is up-to-date and accurate. A precise prescription is the foundation of fitting you with the perfect eyewear, whether you wear eyeglasses or contact lenses. If you have a complicated vision condition or are a hard-to-fit patient, we’ll work with you to determine the ideal eyewear to give clear, comfortable vision. Selecting the ideal pair of frames can be tricky. We feature a large collection of fashionable, long-lasting eyeglasses in our Flint collection, in an array of shapes and styles. Yet there’s no need to feel overwhelmed! Our helpful optical staff is here to guide you through the best options for your eyesight and face. We are familiar with all the eyewear in our Flint Township store, and we’ll explain the pros and cons – so you can make an informed decision. Your customer satisfaction is our end goal, and we’ll never pressure you into making a quick eyewear decision. We can’t wait for you to see and look great in your new eyewear! You deserve the most advanced eye care possible. That’s why our optometry clinic in Flint Township is furnished with the latest, high-precision diagnostic tools. Depending upon your unique visual needs, our eye doctor will use specialized optometric equipment to examine and monitor your condition. We are equipped with digital imaging devices, such as Corneal Topography to map the curvature of your cornea, Digital Retinal Imaging to evaluate the health of your retina, and high resolution OCT Scans to inspect the structures at the back of your eye. With skill and years of professional experience, Dr. Abdella will use advanced technology to optimize your vision. Are there any day to day activities that can cause Dry Eye? What are some of the warning signs? How is it best detected? uncommonly among contact lens wearers, they may incorrectly assume the lenses are old and need to be replaced. Other times the eyes water a bit more, or burn, or itch. Many, many cases are sub-clinical – they can only be diagnosed with the use of microscopic detection and special equipment! Ortho-k is a method used to correct nearsightedness by wearing rigid gas permeable contact lenses overnight. Looking for an Eye Doctor in Flint, MI? First-rate eye care must provide you with a wide range of services. At Abdella EyeCare PC, we take care of everything you require for healthy vision, from A-Z. Our entire team looks forward to serving you with regular comprehensive eye exams and detailed vision testing. Our Flint optical collection is filled with stylish, quality eyeglasses and premium contact lenses of all types. Dr. Abdella is qualified and experienced in expert management for ocular disease, co-management for laser surgery, orthokeratology (ortho-k), maximizing Low Vision and much more! If you experience an irritating eye condition, please contact our eye doctor for assistance. Many ocular conditions are not dangerous, such as allergies and dry eyes, yet they can cause extreme discomfort and affect daily performance. We offer a range of medical treatments and strategies to help alleviate these conditions. In the event of an eye emergency, we’re also here to help! Contact Dr. Abdella for guidance.